Home/Pet Care Centre/Going on holiday and can’t bear to leave your pet? Going on holiday and can’t bear to leave your pet? What do I need to know before I take a pet on holiday? You don’t have to feel guilty! While cats are happier left in familiar surroundings, dogs enjoy adventures with their family. Before dealing with the doggy traveller, let’s deal with the cat conundrum. You could board your cat in a cat kennel where it will not be particularly happy, but will be safe and well cared for; you could leave it at home where it would rather be and have someone come in regularly to feed and provide some attention; or you could board it with a friend. The best option is probably to leave your cat at home with a kind neighbour or family member coming in. It’s a bit hard on the person, but kinder to the cat. Chances are the cat will probably be quite happy even if it misses you. They don’t like new surroundings. With Fido the sky’s the limit – literally! While it’s expensive to take your dog with you on a plane, this is perfectly possible. However, we’re talking domestic flights. While not impossible, overseas travel is a far more complicated exercise. However, taking your dog with you on holidays in Australia is easy. If you’re travelling by car, make sure your dog is comfortable: either in the back section of the car, with bedding, a toy and preferably a grill to prevent him from jumping onto the back seat, or in suitable restraining gear if on the seat. It’s better not to feed your dog just before you go and you will need to take regular stops to give the dog a drink, a walk and a toilet break. Try not to make the trip too long – most dogs have a maximum tolerance level of four hours. Choose your holiday destination carefully be researching dog-friendly accommodation and beaches. Always be well equipped with waste disposal bags and don’t allow your dog to roam around unsupervised. Most dogs are foragers and hunters and can get into trouble, particularly with creatures that live in the wild. And make sure to protect your dog against ticks. 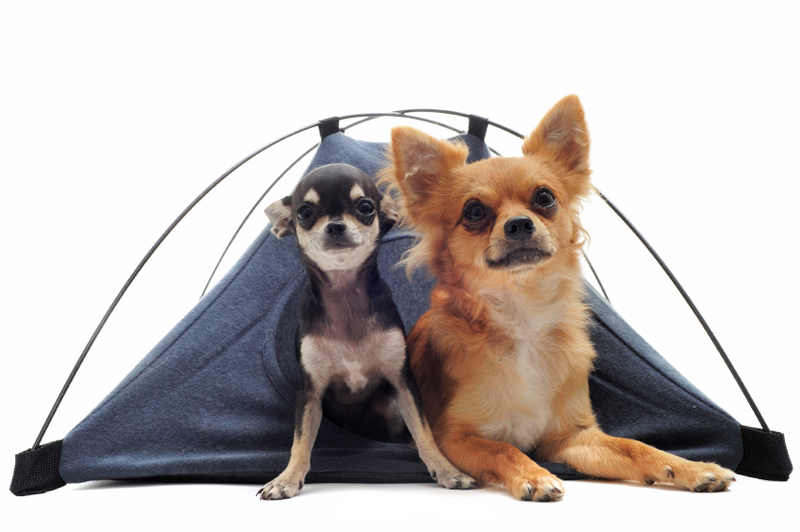 Camping is a delightful way to holiday with a dog and you can bring his kennel or doggy bed along to help him settle. For safety sake take him into the tent or van with you at night, or secure him with a leash so he doesn’t wander off to pursue temptation while you’re asleep. Here again, make sure you choose camping areas that accept dogs. The companionship your dog provides will enhance your holiday and boost your enjoyment. Dogs are plain and simple – huge fun. And you won’t have to worry about what your dog is doing while you’re away. Remember, wherever you may go, as long as you are there, your dog will be happy. And so will you.